Hamster has confirmed that the already-promised Puzzle Bobble 2 is heading to Nintendo Switch very, very soon. So soon, in fact, that you'll be able to get your hands on it tomorrow. We already gave that away in the title, didn't we? Ah well. 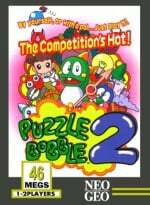 "Puzzle Bobble 2 is an action puzzle game released by Taito in 1995 as the second sequel of PUZZLE BOBBLE. Bub and Bob, the bubble spitting dragons from the action game are back again to take on new challenges! Skillfully bounce bubbles off the walls, make chains, and erase them! Aim for even greater chains with the new Star Bubbles and Metal Bubbles!" As mentioned above, you'll be able to pick this one up on Switch tomorrow for $7.99 / €6.99 / £6.29. Do you have any fond memories of playing this one back in the '90s? Will you be snapping it up on Switch tomorrow? Tell us below. Brill, I was waiting on this one. Wonder if this is the last Neo Geo game, given the delay of this and no new games in the last couple of weeks? I've been complaining a lot about this game being delayed several times, and for once it's not the last of the list, because there still is The Ultimate 11: SNK Football Championship left. But it's certainly strange that no new ACA Neo Geo batch has been announced at this point. Looking at the Wikipedia Arcade Archives article, though, it seems that Baseball Stars 2 was announced at some point by some website -now I don't remember which one and I'm too lazy to check it-, so it looks like there are going to be more games. According to everyone, Puzzle Bobble 2 is the entry to go, because it's better than the first (which I didn't buy), for the modes alone. Anyway, it's great news we can get our hands on it tomorrow! I hope they make an actual new sequel. Bust-a-move was my favorite game as a teen. So was Tetris Attack (Pokemon Puzzle League for you younger kids). I’ll definitely be getting this one. Throw it on the pile of Neo Geo games I now have that I didn’t have when I was a kid. Loved the PS1 port back in the days. Will be picking this up tomorrow! Saw Bub & Bob and got excited. Saw what game and I got sad. Unfortunately I never really got into this series. I know others will enjoy this. I doubt this is the last of the Neo Geo games that Hamster will be bringing to ACA, but I'm still in anticipation that they will do a physical release of ACA volumes, sets, or collections. Which is why I don't plan to get these new releases ASAP, but will keep an eye out for sales. @RupeeClock As I keep telling people as they told me, and also tell myself because I would hate it to be otherwise after I've bought several, it's not very probable for them to collect these titles. They haven't even for PS4, which is receiving ACA Neo Geo games since 2014. That's the reason why. 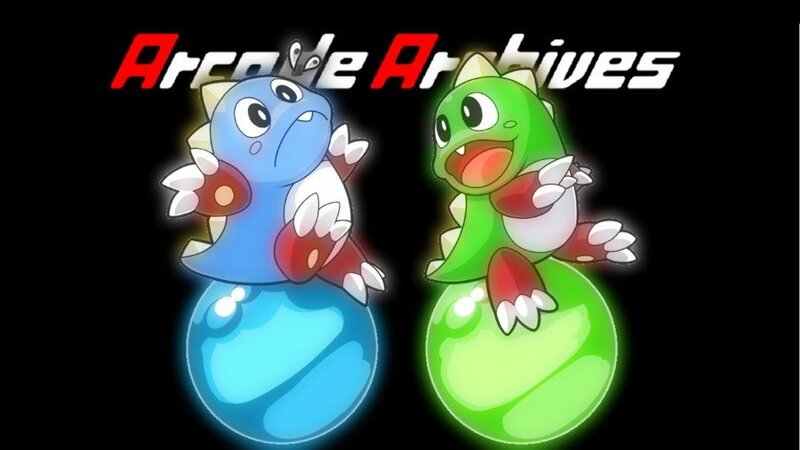 @BillyB @Skid There actually is an Arcade Archives Bubble Bobble, but sadly for PS4 only, at least for now. I loved this on the ps1 and would often settle arguments for me and my siblings back then. I often got the sequel bust-a-move games but none of them could compare to this one. I'll definitely have to grab this! @Angelic_Lapras_King better not be. I'm still waiting on viewpoint! Come on, Hamster. License the Visco and Technos Neo-Geo games already. I do have fond memories of this game from back in the day, but £6.29 is just not good value for money. There are dozens of bubble pop games on the smartphone and they are free to play. I'm glad we're finally getting the title I was waiting for the most in their last batch announcment. But now I'm kinda sad, because I think we won't get much more than this for 2019. Overall, I'm still waiting for: The King of Fighters 2003, Samurai Shodown V Special and SNK vs. Capcom: SVC Chaos (we will problably not get that one). After that, I think I'll be mostly done with Neo Geo. Good job Hamster for bringing so many titles for 2 years almost now. Love this game. Wish they’d release Bubble Bobble next. How about Neo Bomberman next? 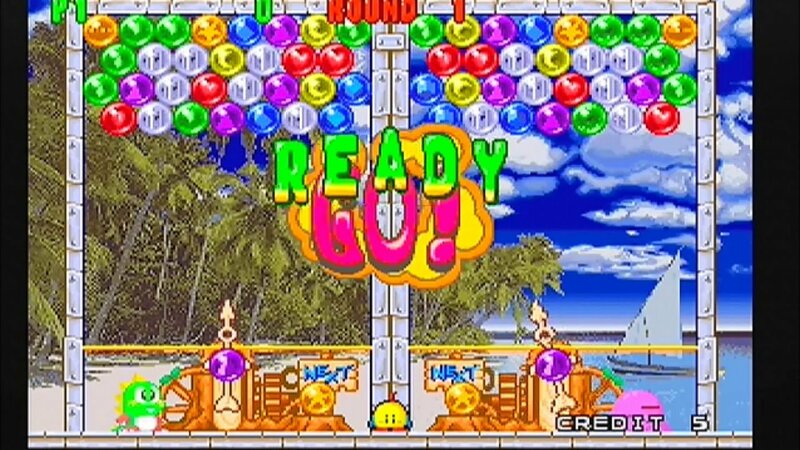 Can't complain about more Puzzle Bobble. Cool! And i grabbed Moon Cresta the other day! A Classic shooter! Baseball Stars 2 next please!! This game probably got a thousand hours of gameplay from me from 1996-2006 lol. So excited to dive back in to one of my favorite puzzle games of all time! I'll be picking this one up first thing tomorrow! Oh, and for everyone yearning for Bubble Bobble on Switch, (trust me, I'm yearning right along beside you) in the meantime I recommend looking into this little hidden gem by the name of Whip! Whip! It's basically like a Bubble Bobble game, except that the bubble attack has been swapped out for a magic grappling hook oven mitt followed up with a Falcon Kick. I remember renting the nes version and trying to beat the last stage in two player by myself to get the real ending. Got so close but I had to return it. Neo Bomberman and Panic Bomber would be pretty sweet and unlikely. that would be even sweeter. @Drac_Mazoku I hope you're wrong and they bring us more games. But hey, last week was the first they didn't release any Neo Geo game. It was just one week.